I think Forest Temple was supposed to be Hyrule Castle in the first version of OoT, but they later changed it so they can have a temple for the Forest Medallion. i am really interested in the spirit temple most of all the temples. i think i know what caused evil to get in. maybe twinrova was there because the happy mask salesman was his minion and hipnotized them then i think the twins used there powers to open a portal and let them in because they forced the happy mask salesman to let them keep the treasure and the enemies agreed because they thought they would get some of the treasure too. just a thought. 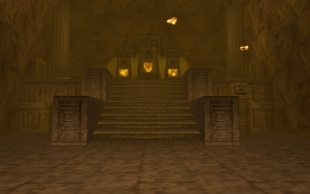 for the spirit temple, i believe its a shrine or something where they worshipped a goddess of some sort. the huge stone carvings of a person(woman) with a snake might be their queen or a goddess that represent stealth, witchcraft and whatever gerudus wants. The spirit you refer to is Lanyaru. I have a theory about Forest Temple. 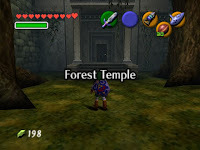 As many may have noticed Forest Temple can be seen well from the outside unlike most of the other temples but if you flip the map from Twilight Princess it has many features similar to the Ocarina of Time map but in TP the desert is called Gerudo Desert not Gerudo Valley and I didn't notice a valley in TP so Gerudo Desert is on the other side of Lake Hylia which is very close to Kokiri Forest which might imply that Arbiter's Grounds are actually the old Forest Temple and the two temples actually carry some resemblance for example the rooms are similar and through both temples you are trying to kill all four poes. 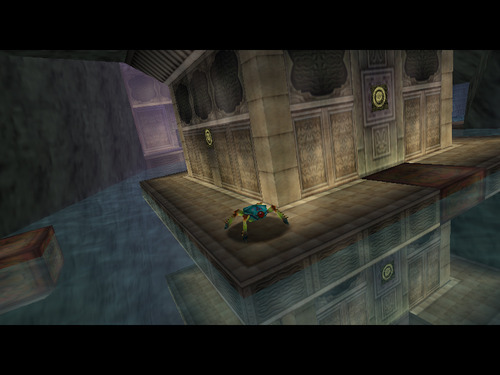 At the top of the Arbiter's Grounds the is an area which appears to be the Sages Chamber in ruins this might mean that the Sages chamber is located in the Forest Temple. 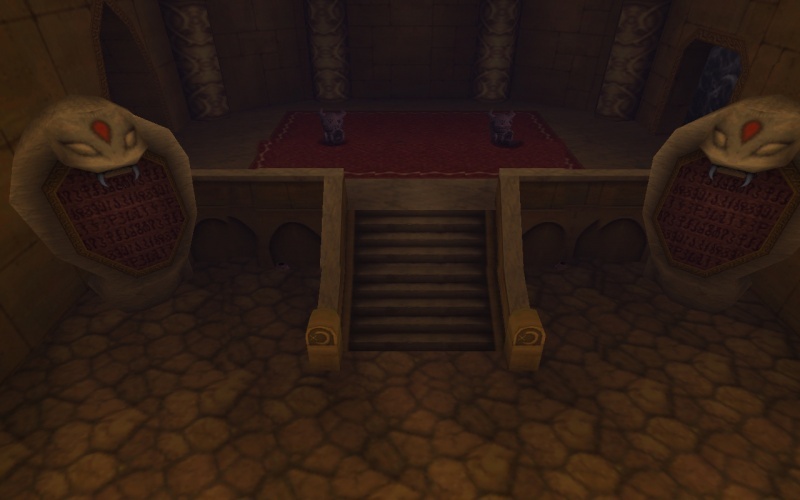 Kinda a year late on this one, but I wanted to mention how your thought on the Chamber of Sages being located in the Forest Temple is a pretty sound theory. 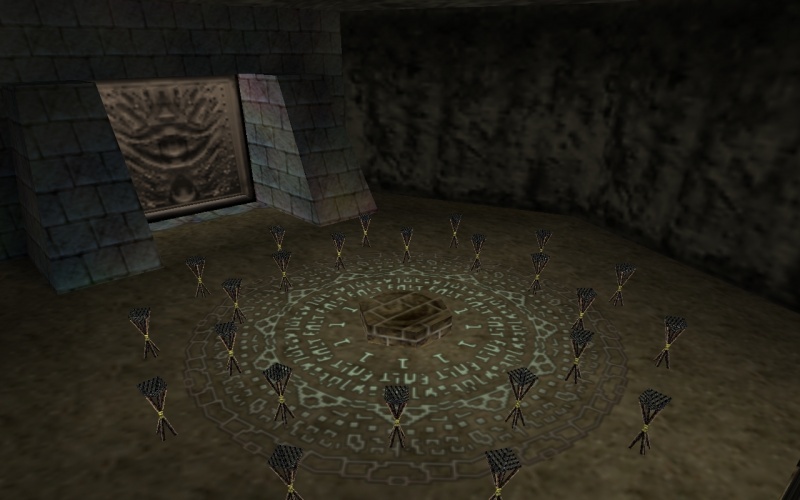 My thoughts to add to this is that it's the first temple you complete (assuming you're following along in the game) and have to unseal the curse of the temple. It might be possible that the curse was preventing the sages to awaken.